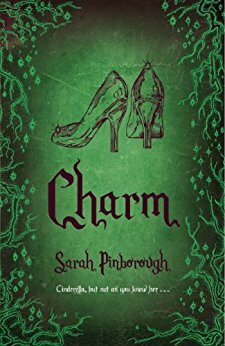 Sarah Pinborough has flipped fairytales on their head with this modern adult retelling of Cinderella. 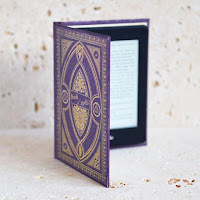 The whole book feels like a fairytale with the opening chapter entitled, Once Upon a Time, but don't be misled as this is Cinderella but not as you know her. There are many familiar figures such as Buttons and the handsome prince but Cinderella herself is spoilt and selfish, her step-sisters aren't ugly and the fairy godmother isn't very friendly. There is a huge sprinkling of magic with the enchanted glass slippers and their effect on the prince - if Cinderella wants to live happily ever after she'll never be able to take these slippers off. Cinderella's relationship with the prince isn't all that it seems. Cinderella was infatuated with him and kept a photo of him beside her bed, but in reality he is flat and boring. His heart doesn't belong to Cinderella and when Cinderella follows him through the castle one night she gets quite a shock at what he is hiding. I had guessed the prince's secret, having read Poison, the first book in the series, but guessing early didn't spoil my enjoyment in any way. The only thing that spoiled it for me was the reappearance of the wicked queen at the end; you can change the fairytales around to your heart's content but I'm sorry the wicked queen does not have a heart and she'd better not be the one to live happily ever after! Beautifully illustrated throughout, Charm is the second book in the Tales from the Kingdoms series, and is an imaginative, fun and mischievous adult fairytale. I bought the full set in hardback and I'm sure you will agree they are quite a stunning set.